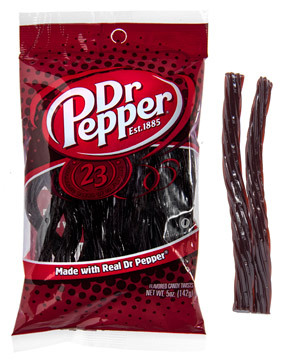 Soda-Flavored Licorice: Licorice twists flavored like popular pops. 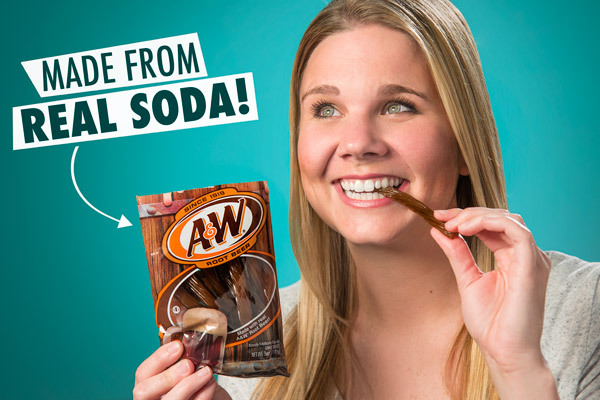 Take a bite out of your favorite drink when you sink your teeth into Soda-Flavored Licorice! 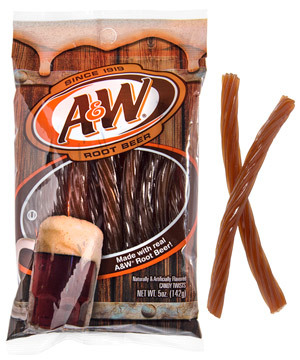 Each licorice twist is full of the famous flavor of a classic soda: the distinct bite of A&W Root Beer, the sweet citrus burst of Orange Crush, the juicy fruit sweetness of Hawaiian Punch, and the subtle complexity of Dr Pepper. Your tongue will be impressed with the authentic deliciousness of each bite. 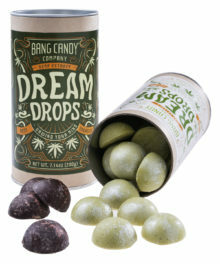 This made-in-America candy is a great way to get your soda fix a nibble at a time. Soda-Flavored Licorice captures its amazingly authentic flavor by being made with actual soda! 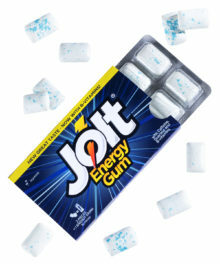 Each piece contains concentrate of the beloved beverage for which it’s named so every bite is like taking a swig from the can. 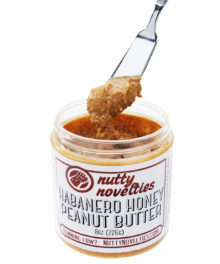 Whether you want a nibble or a whole piece, you’ll love snacking your way through your favorite soda brand. You can practically taste the fizz. When you need to quench your thirst, double down on delicious and sip your soda with a flavored straw. 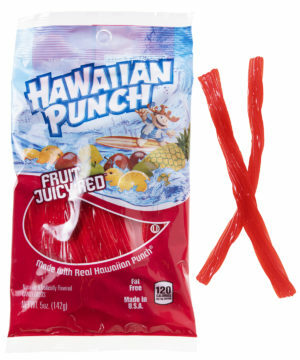 Bite off each end of a hollow Soda-Flavored Licorice twist and use it as a straw to guzzle your pop preference. 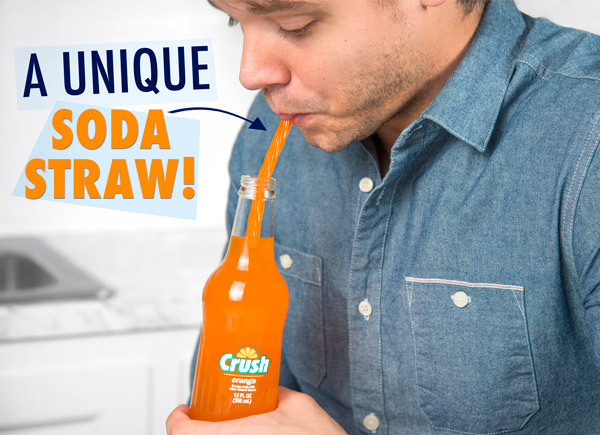 When your soft drink is gone, you can still eat your straw which has soaked up the extra fizzy flavor. 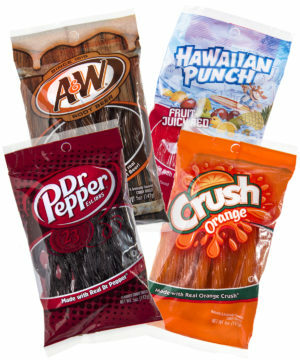 Soda-Flavored Licorice is available in four flavors: A&W Root Beer, Orange Crush, Hawaiian Punch, and Dr Pepper. 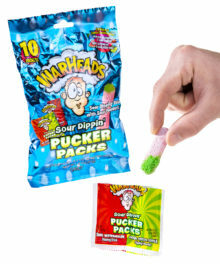 The American made chewy candies are a great light snack to have around the house. 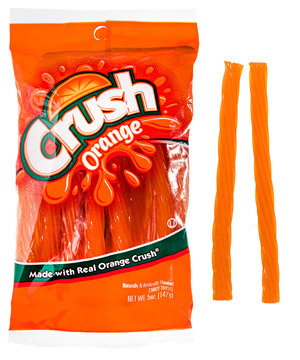 Question: Are these similar to Twizzlers? 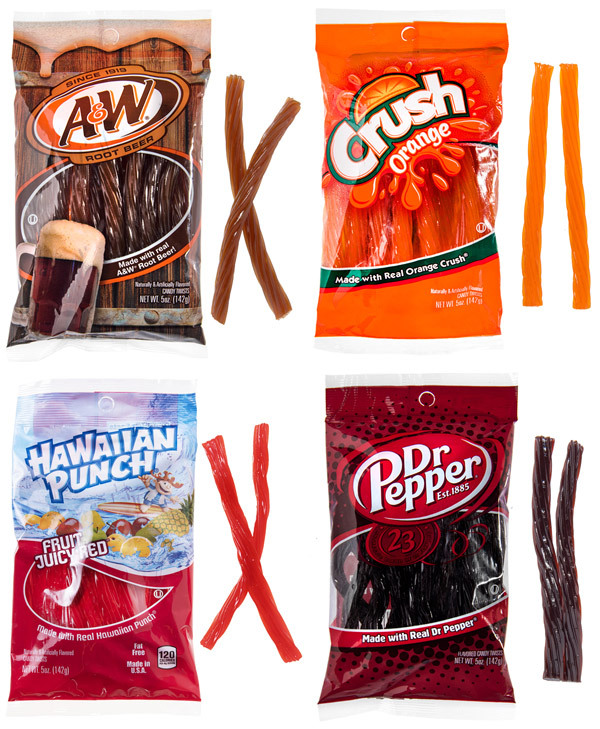 Answer: Soda-Flavored Licorice has the same basic shape and texture as Twizzlers but is flavored much differently. Question: Do these have caffeine in them? 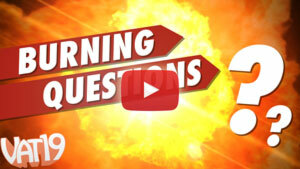 Answer: Although Soda-Flavored Licorice is made from real soda, they’re caffeine free.